Nature provides us with many unique herbal medicines that can improve our skin's health. When we look to nature to help solve our skin concerns, we invite essential ﻿vitamins ﻿and minerals that work naturally and effectively with the skin's tissues. Comfrey is one of these unique herbal medicines for the skin. Comfrey is a beautiful perennial herb of the Boraginaceae family that contains many nutrients that promote healing of the skin. 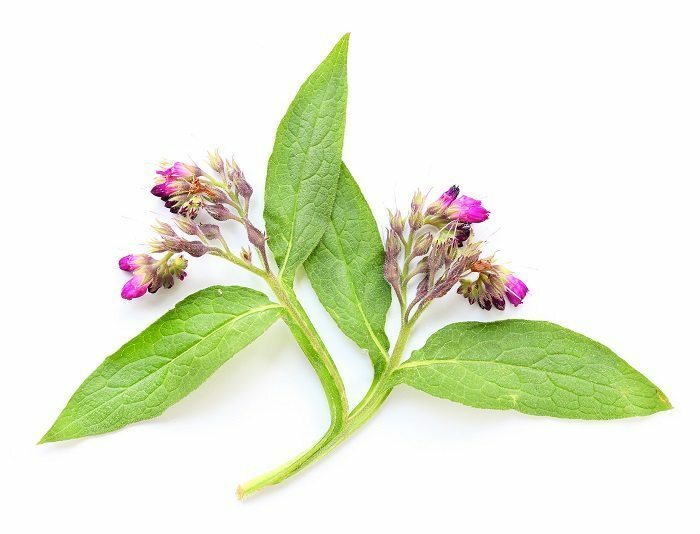 The most powerful nutrient in comfrey is its high content of allantoin, a substance that helps promote new skin cell growth, along with other substances that work in reducing inflammation and maintaining healthy skin. 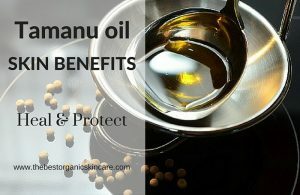 In this article, we are going to talk about the benefits of comfrey oil for the skin and the best comfrey oil product you can purchase to achieve these benefits. 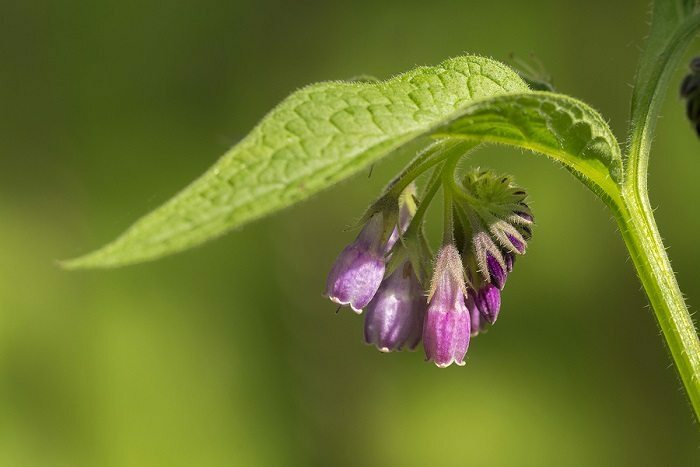 Comfrey oil can help you naturally address skin issues such as scratches, rash (including diaper rash), bug bites, and shallow wounds. Comfrey is also deemed helpful in easing pain from arthritis, muscle aches, and soreness. It demonstrates effectiveness in assisting treatment of atopic dermatitis, psoriasis, and eczema. Being mucilaginous, comfrey oil is wonderful at treating existing scars. Because of its ability to activate cell regeneration, scars will soften and fade over time. Using comfrey oil topically can relieve most irritated skin conditions. 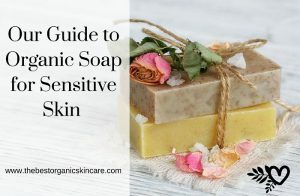 It is important to attribute many of these positive impacts to its high amounts of allantoin, a mucilaginous healing substance that causes cell growth, and moisturizes the skin. Eases pain from arthritis, muscle aches and soreness. Aides in treating dermatitis, psoriasis and eczema. Promotes new skin tissue for healing wounds. Softens skin and fades wrinkles. Note: Comfrey oil should not be taken internally. We only recommend using comfrey oil as a topical aid in treating irritated skin conditions and scars. 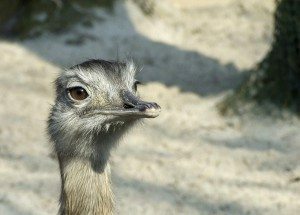 It is also important to note that comfrey oil should not be applied to open wounds, since its ability to promote cell regeneration so quickly, you could develop an abscess. Comfrey oil is an excellent natural remedy for the skin. It has been used for centuries to treat skin concerns. So, what is the best comfrey oil to use? Earth Elements Comfrey Oil is my top pick product. I have mine in my first aid kit, and bring it with me when I am out on a hike. This is a trusted company that has quality as their first priority. Earth Elements provides a nutrient rich, affordable product. As you can see, comfrey oil is a must have skin remedy for daily use, or add it to your first aid kit. It is safe for kids from diaper rash, to bug bites. 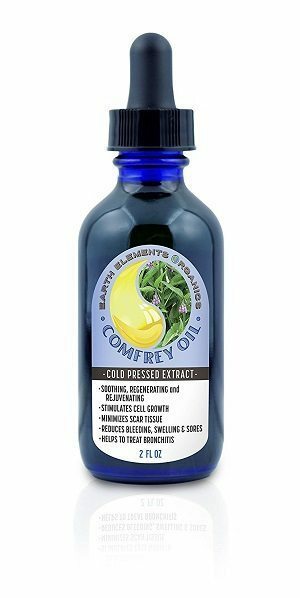 Comfrey oil is another one of natures gifts that is truly unique in its abilities to heal the skin quickly and effectively.